The Green Man embodies the spirit of the forest and symbolises rebirth. 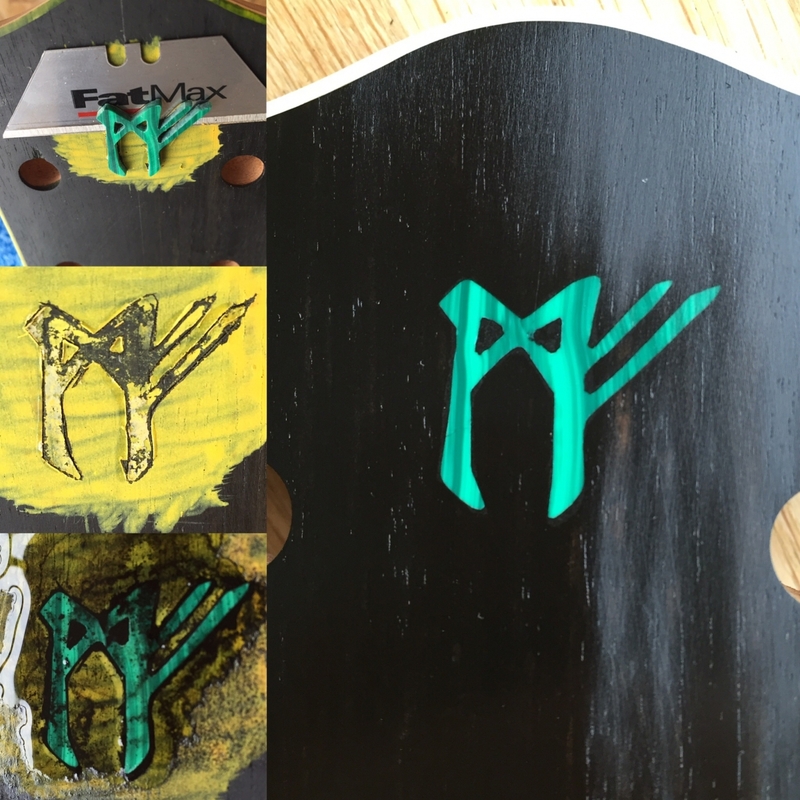 This was my attempt to capture one of the most iconic and influential guitars of the modern era, Steve Vai’s Green Meanie. At the moment I am still building guitars to my own personal taste, so this project evolved into an interpretation of (in my opinion), the greatest electric guitar of all time, the ’59 Les Paul. 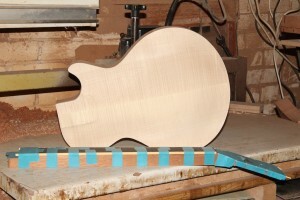 The main aspect that differs from the original build of the ’59 is the neck-heel. 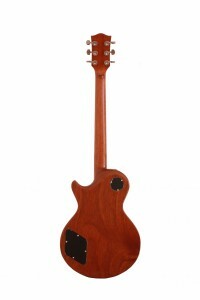 Green Man features a rounded all-access-neck joint which gives very easy access to the upper register. The 3-piece mahogany neck has a full-feeling ‘C’ shape carve that really generates tone and sustain. Drawing from my personal preference, I have simplified the control layout to single Master and Tone for both pickups. Coil-splitting selection in the Master Volume allows instant single-coil Strat tones when required. 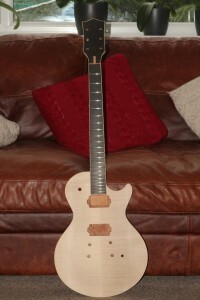 This has taken far longer than any of my other builds and feels like the best instrument I have worked on to date. I pondered over the headstock inlay design for many hours. It was originally intended to have an embodiment of the Green Man inlayed with Malachite, but limited resources meant that the result could have compromised the overall look and feel. In future builds I will revisit this design and utilise laser cutting technology to create the desired effect I have in my mind. 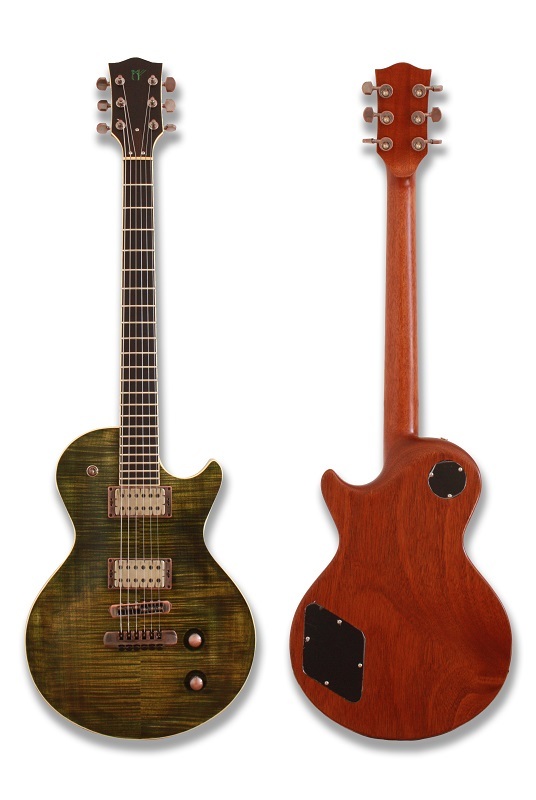 As a result, the Green man guitar has a very reserved, simplistic finish which is reminiscent of the ’59 Les Paul.